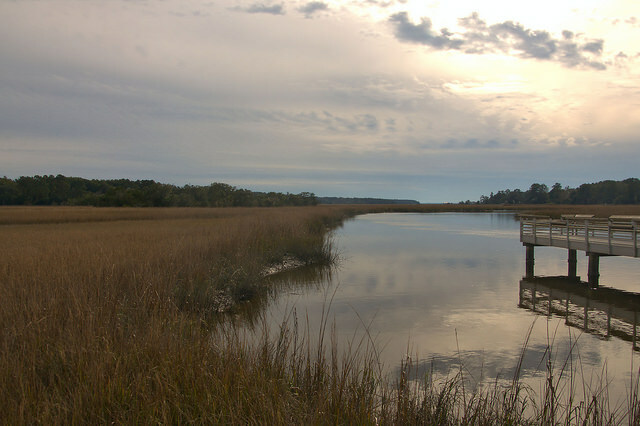 This is the view at the Tivoli River Fishing Pier & Kayak Launch, on Belfast-Keller Road, and it’s the first public “kayak/canoe-only launch” in Coastal Georgia. The Tivoli is an 8.9 mile-long tidal river that flows into the Belfast River, just north of that river’s terminus at the Medway River. The fishing is generally good, too, with redfish, trout, and flounder being abundant much of the year.